The Grand Traverse Resort and Spa is the presenting sponsor of the Michigan Runner Girl podcast. nners, race directors and fitness and wellness experts about living healthy and happy in Michigan (and sometimes, Michigan runners exploring beyond Michigan). You’ll get behind-the-scenes looks at your favorite Michigan races, as well as discover new events to try. Great places to explore on foot throughout the lower and upper peninsula also are highlighted. New shows are released weekly, typically on Mondays. 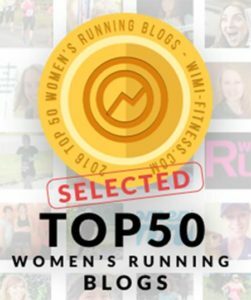 You can find the Michigan Runner Girl podcast on iTunes and Stitcher, where you can download episodes and subscribe to the show for free. The Michigan Runner Girl Podcast is supported by the Grand Traverse Resort and Spa, located near Traverse City, MI. “Just wanted to say thank you for your great podcast! I love running and I love Michigan (I lived there for a few years) and found your podcast and website. I listened to one a few months ago where you highlighted the Lake Michigan Half in Muskegon so I planned our family vacation around it. It was as wonderful as it sounded on your podcast!!! I loved running there, in Traverse City, and in Kalamazoo.” ~ Todd D.
“You do a great job with your podcast and I listen to all of them. Last night, I listened to the ultra running episode. I laughed out loud several times. It was funny and well done (again, like always). A good group of guests that you led through the questions very well. Thanks for providing good content, good information and good laughs.” ~Tony Anderson, marathoner. Episode #56: Is Heart Rate Training Right for You? Just wanted to say thank you for your great podcast! I love running and I love Michigan (I lived there for a few years) and found your podcast and website. I listened to one a few months ago where you highlighted the Lake Michigan Half in Muskegon so I planned our family vacation around it. It was as wonderful as it sounded on your podcast!!! I loved running there, in Traverse City, and in Kalamazoo. ~ Todd D.
You do a great job with your podcast and I listen to all of them. Last night, I listened to the ultra running episode. I laughed out loud several times. It was funny and well done (again, like always). A good group of guests that you led through the questions very well. Thanks for providing good content, good information and good laughs. ~Tony Anderson, marathoner. You can find the Michigan Runner Girl podcast on iTunes and Stitcher and download episodes and subscribe to the show for free. I just finished listening to your first episode, and it inspired me to leave my first ever comment on a blog! I enjoyed the honest and entertaining breakdown of the trail half marathon on Grand Island, and felt motivated to consider a trail race when I never had before. I love running and traveling in our great state, and can’t wait to hear what else you share with the runners of Michigan!